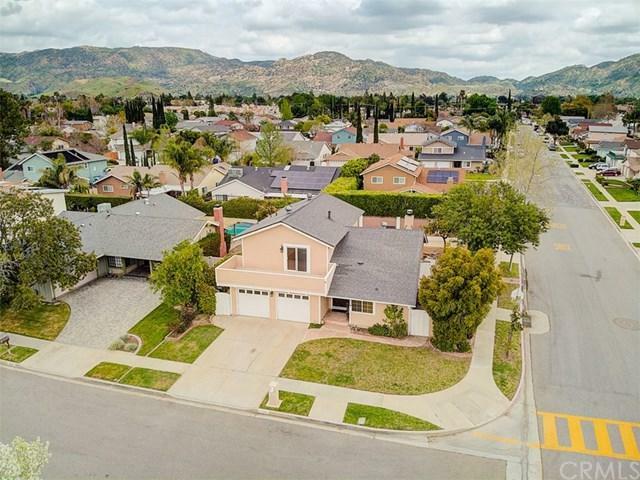 4 bedrooms + 2.75 baths 2-story Simi Valley pool home on corner lot w/ gated side RV or trailer access. Store your toys. Entire interior freshly painted & newer exterior paint. Formal entry. Living room w/ vaulted ceiling, fireplace, & sliding door pool view. Elegant formal dining room has high ceiling & floor tile design. Updated kitchen w/ granite counters, custom backsplash, SS appliances, recessed lights, & eating area w/ sliding door to side covered patio. Downstairs features guest quarters including room w/ closet & sliding door, bonus room, & bath w/ shower. Ideal for in-law suite, work from home office, or 4th bedroom. 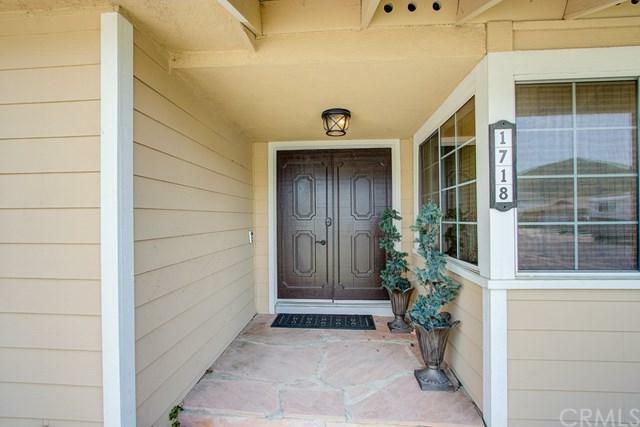 Master suite upstairs boasts upgraded flooring, en suite bath, walk-in closet, unique & spacious storage inside wall, plus sliding door to enormous balcony where you may enjoy Simi mountain view & fireworks on 4th of July! 2 more bedrooms + full hall bath w/ tub. 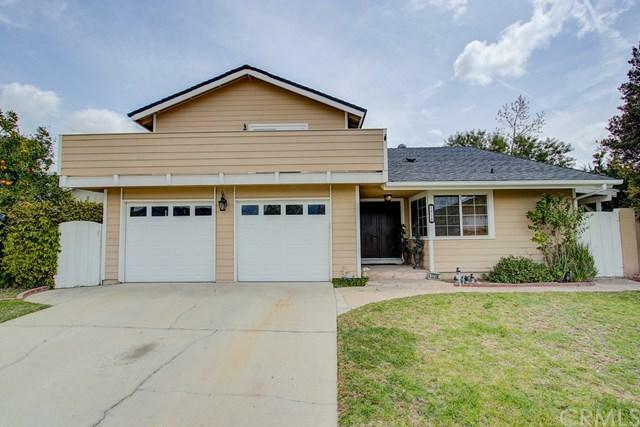 Add ceiling fans, updated windows, newer a/c + Nest, & pool heater to the list! Surrounded by greenery for privacy, take a dip in the pool, relax in the jacuzzi, or sit by the firepit in Entertainer's backyard with covered patio & citrus tree. Direct access to 2-car garage. 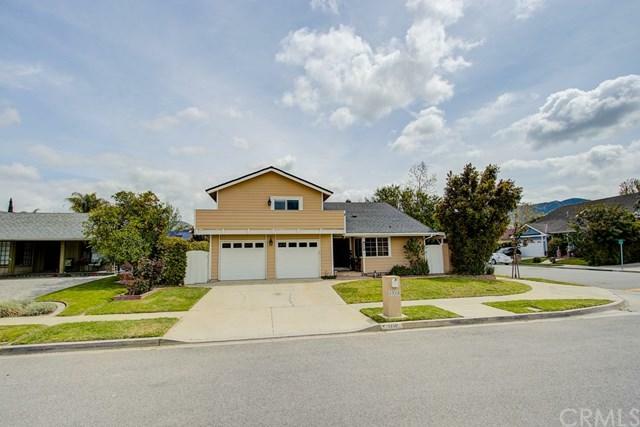 Highly desirable East Simi Valley with great schools, shopping, dining, & easy freeway access.